AT THE CHARLTON SCHOOL, we know that some girls too often get broadly categorized. Healing happens differently for each girl so our approach varies for every student. The aim is always the same, though. Students leave Charlton able to independently self-regulate their behavior, set goals, and care for their own intellectual and emotional needs. Our integrated behavior strategies lead to emotional balance, clarity of self, and healthy habits that are sustainable. To us, behavior is a form of communication which we view as an invitation to help. We base each student’s program on an ongoing functional behavior assessment, monitoring her progress and adjusting therapies and education as needed. For each student, we create a positive behavior support plan that rewards problem-solving, makes each girl accountable for her behavior and decisions, and supports her efforts in social, academic, and vocational settings. We keep the momentum going. Residential treatment at Charlton is integrated throughout a student’s entire day—from time spent in our residence cottages, to classroom experiences, and from extracurricular activities to, of course, a wide range of clinical interventions. At The Charlton School, we focus on delivering the right treatment—one that’s individualized and customized specifically to the needs of each student. We base each girl’s program on an ongoing functional behavior assessment, monitoring her progress and enhancing or adjusting our therapies as necessary. 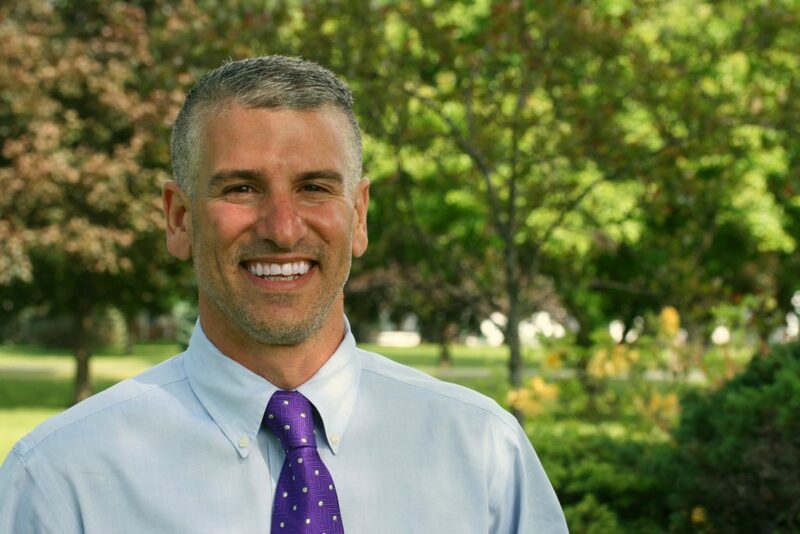 I have been a part of The Charlton School since 2003 in the positions of Therapist, Clinical Director and now as Executive Director. Our clinical, residential, and educational staff are in constant collaboration to ensure that the efficacy of the highly individualized, therapeutic environment we have created remains. We understand the overwhelming feelings that come with sending your child away and the struggles that come with trying to explain this as a selfless act of love. This important process starts with new student admissions and is the reason why I remain a central part of our admissions team. We are not your typical residential treatment center. We are a therapeutic learning community where students learn to trust and develop a positive sense of self. We often hear our program “has a feel” that is different than other experiences families have when touring other programs. I would encourage you, family members, and all professionals supporting your continued success to come and see us and see if you feel the same. If all other options have been exhausted, perhaps it is the right time for a residential program and perhaps The Charlton School is the place. Please feel free to call me anytime. Each student is involved in weekly therapy sessions with her assigned therapist. Students also participate in regular meetings with our school psychologist and psychiatrist. 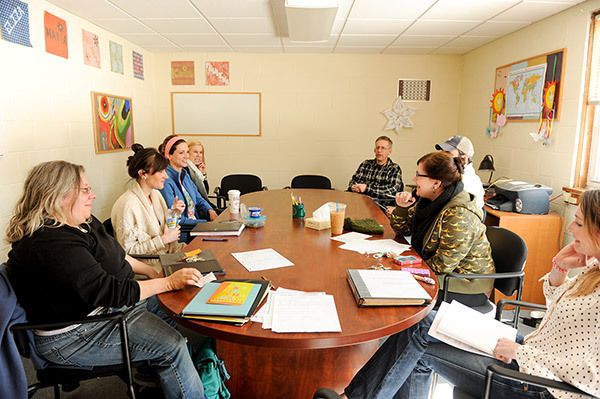 Group therapy occurs weekly as well and includes discussions on self-exploration, the impact of trauma on development, self-regulation, emotional management, art therapy, and equine therapy. The faculty and therapists at The Charlton School know that placement here is a difficult transition for the entire family. That’s why the family is expected to be involved in the change process while the student is residing at The Charlton School. Family therapy usually includes bi-month family sessions on campus with encouragement to continue to resolve past issues and strengthen family relationships at home. If the family cannot participate in family sessions on-campus, arrangements are made to conduct family sessions via Skype videoconference or telephone. Students and families are encouraged to participate in Charlton’s one-year, voluntary AfterCare Program. Aftercare planning begins prior to discharge and is designed to provide support, assistance, and feedback to former Charlton students in managing both daily living tasks and crises after discharge. What is the frequency of therapy provided at Charlton? Our program is a therapeutic microcosm. Every interaction is a potential therapeutic intervention or mishap. Through this lens, the amount of ‘therapy’ a student receives can vary. Students formally participate in individual therapy a minimum of one hour per week, family therapy twice a month, and group therapy two times a week. Licensed therapists and our consulting psychiatrist, psychologist, and school counselor deliver these more traditional therapies. What treatment model do you use? We do not have a model for treatment at Charlton for a simple reason—as soon as we subscribe to one, we begin to lose our individualized approach. We draw upon various models that result in customized treatments and encourage collaboration between our students and their families. Much of our understanding of a student’s struggles is informed by the research of Bessel van der Kolk, MD and Dr. Ross Greene. Do you use a Dialectical Behavior Therapy (DBT) model? We do not. We draw on several concepts to assist with our ultimate goal of teaching students to independently self-regulate their emotions and behaviors. Through years of trial and error with various models, we have come to understand that committing to one model often dilutes the efficacy of our individualized approach.